Situation: The original founders of Miacomet Software, LLC had raised approximately $1M in seed capital to develop prototypes and produce a business plan to launch a line of sports peripherals and software based on the designs and ideas of Chris Meredith. 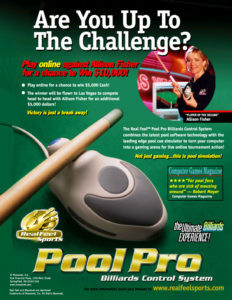 The company developed some rough prototypes of a fishing rod controller and a pool cue controller and had developed a unique fishing software prototype to demonstrate this new technology. The company was out of capital and was not successful in obtaining additional capital or interest from companies to distribute these products. The founders, based on advice from Mass Ventures, an organization that helps start-up companies in Western Massachusetts, decided to hire a President with experience in building a company in the entertainment industry. Position Objectives: Build a business that would successfully attract investors and return a 10X+ return on investment based on the Miacomet sports peripherals assets. Issues: PC and video game entertainment industry was out of favor with investment community who were supporting Internet business to business ventures. PC and video game accessories and peripherals were a mature market and retailers favored doing business with a select group of existing manufacturers/distributors. The cost of engineering, manufacturing, warehousing and marketing of PC/video game peripherals and accessories were prohibitively high ($10-15M). Designed business plan that would minimize required investment capital by leveraging a relationship with one of the major manufacturers/distributors, thus allowing the company to focus on the development of unique peripherals and complimentary software. Negotiated manufacturing and distribution contract with InterAct Accessories, Inc., the largest manufacturer and distributor of PC and video gaming peripherals in the industry behind Microsoft and SONY. Raised required $4M in capital from angel investors. Launched the Real Feel brand as a method to differentiate and unite company products and technology. Acquired rights from Sports Sciences to patents for golf, baseball, and snowboarding product concepts and technologies that significantly expanded the product line and value of Miacomet. Spun-off Internet assets and created a new company: Katerra Corporation. The value of the Internet assets and opportunities were far greater as a separate entity than buried within the Miacomet organization. This was done to maximize the value of these assets and increase shareholder value. Launched Real Feel Pool via an online store. 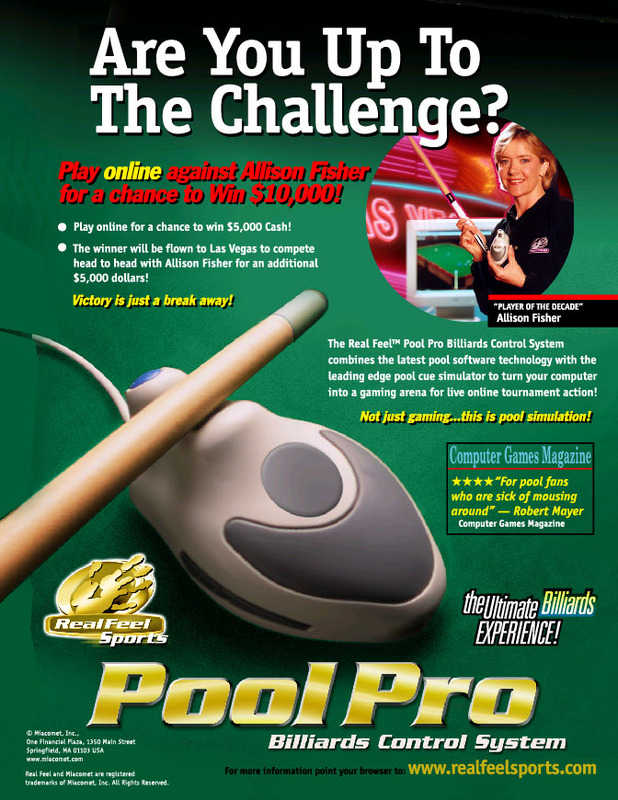 Signed Women’s Billiard Champion Allison Fisher as Spokesperson. Turning Point Event: InterAct Accessories did not bring negotiated products to market promptly and ended in defaulting on contract approximately one year after initiating the strategic relationship. The timing of these events left the company with technology and patent assets but no vehicle to bring products to market and less than half of the original funding left to pursue new avenues. Response: The Miacomet Board of Directors were presented with two options: 1) Raise an additional $8-10M to manufacture and bring products to market directly, or 2) Layoff all non-development employees and look for a company to purchase the assets of the company. Resolution: Company sold its technology, patents, and product assets to RCA/Thompson Group. Most of the investor’s capital was recouped in the deal, and they owned Katerra shares as part of the company spin-off. Post-Acquisition Note: RCA/Thompson intended to bring these products to market under one of their labels but the legal department rose an objection to the possibility of injuries to consumers, and the products were buried. Years later these patents were licensed by Nintendo for the Wii Console Sports accessories and games.